An original circa 1940 oil on canvas painting by Alice Mary Burton. 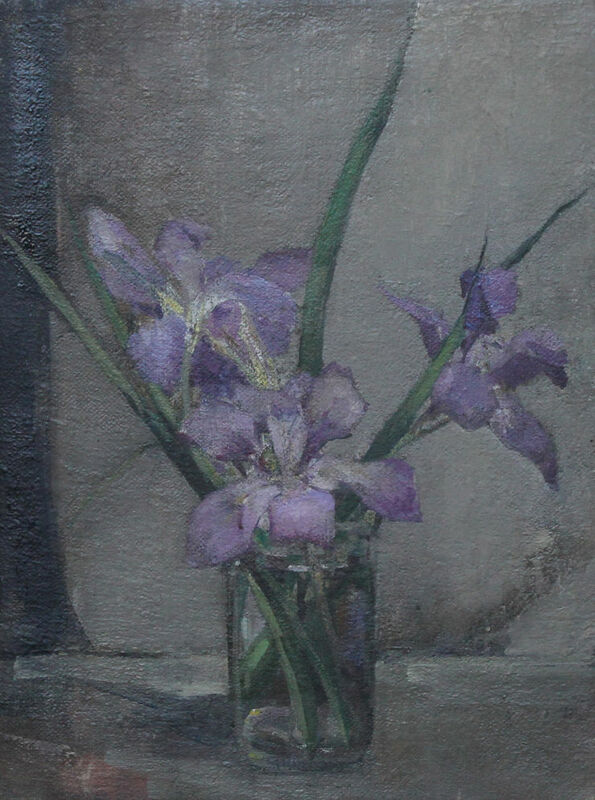 It depicts a floral still life of purple irises. This is a fine painting by a British listed female artist whose works have recently sold to the House of Lords. Original gallery frame 22 inches by 16 inches. Alice Mary Burton (1893-1968) was born on September 21st 1893 in Nogent-sur-Oise in France. She studied art at the Byam Shaw and Vicat Cole School of Art and at the Regent Street Polytechnic School (Bronze and Silver Medals). She was a portrait and figure painter, although she did produce a few landscapes. 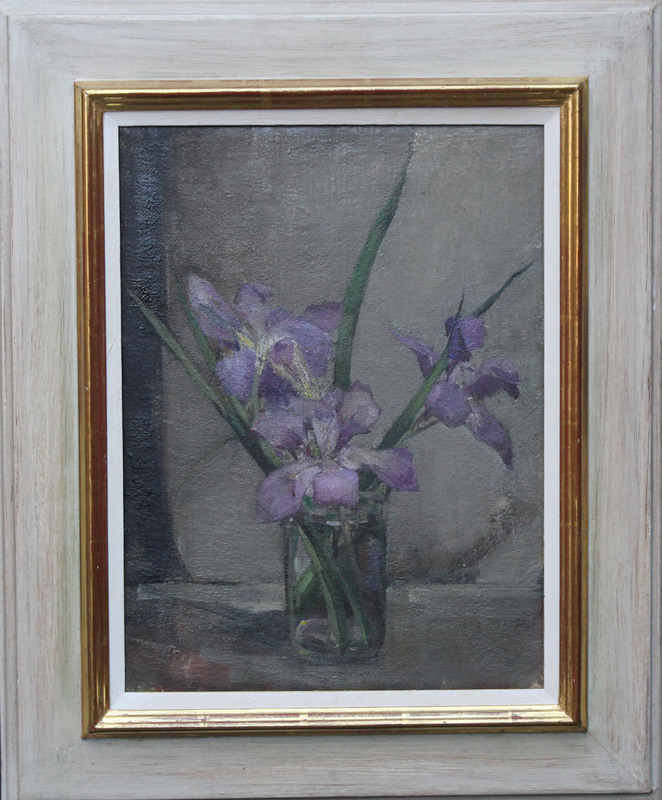 She was elected a full Member of the Royal Society of British Artists in 1932. She lived in North Wales (1913), Royal Tunbridge Wells and London (1921).